The popular film sequel to the equally popular original film now has its very own handheld video game. THE MUMMY RETURNS features elements of puzzle solving, hand-to-hand combat, first-person shooting, and flight simulation. Choose to play either the heroes or the villains, as you can take control of classic characters like the lovable Rock O'Connell or the wicked king of the zombies, Imhotep. With three playable characters in all, the game's replay value is strikingly high. 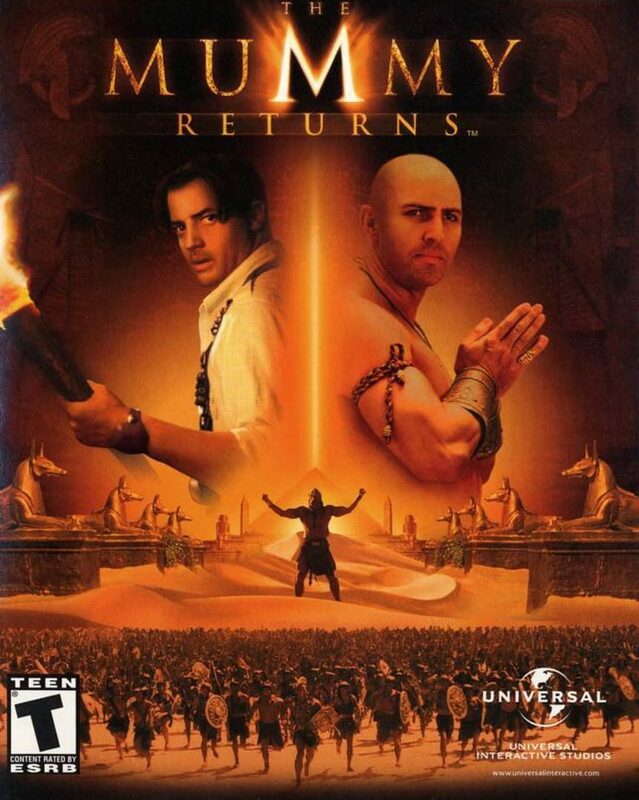 Boasting graphics that eclipse those of most handheld adventures, THE MUMMY RETURNS delivers all of the action and excitement from the film to the palm of your hand. You trek through countless Egyptian locales, battling spirits of the underworld, rats, pygmy mummies, scarabs, and much more. The most important thing is to keep your wits about you you wouldn't want to become unraveled. Four modes provide hours of original gameplay.